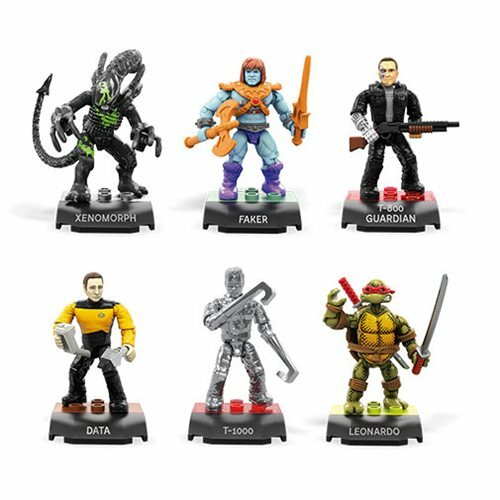 The Mega Construx MCX Heroes Mini-Figure Series 3 features iconic and fan-favorite mini-figures to collect! Build your favorite TV, movie and video game icons with 6 different mini-figures to collect! Each 2-inch tall super-poseable figure features up to 13 points of articulation, comes with authentic weapons and accessories, and includes a color-coded display stand. Ages 8 and up.